It’s actually a bit more nuanced than that and I and colleagues at UCL Museums are exploring the problematic identification of material as ‘casts’. Often casts in museums (of which there are many aside from the large mounts we seen on display) weren’t treated as part of the collections proper and most have very poor information about the who, how, what, why when. Some casts were more replicas or models or reconstructions but this distinction wasn’t made. Some are casts of models of reconstructions of casts so obviously their accuracy needs to be confirmed particularly if they’re to be used in scientific research (and many are if you check supplementary information to papers or appendices). 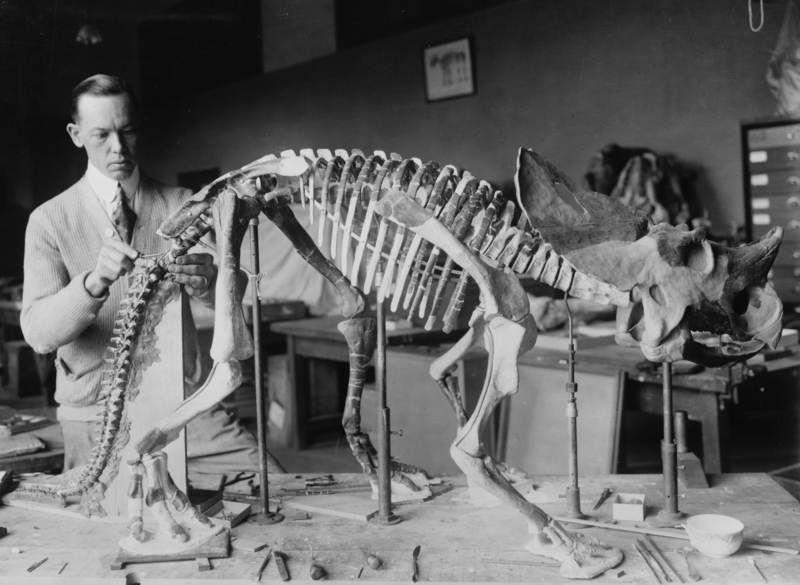 Lastly, many casts represent specimens no longer available as the originals have been lost, destroyed or studied and prepared and re-prepared to dust. We’ve just started to explore this here but there’s a whole range of issues around casts: keeping them off book as not real collections, casts as evidence of people (in medical collections), the unwritten history of cast making materials and methods, a lexicon for recording the stage of state of a cast, and of course the future full of 3D printed ‘casts’ generated from scanning or more problematically photographs and a great deal of guess work (see Spoor, F; Leakey, LN; Leakey, MG; (2002) Bone Clones’ “re-creation” of Kenyanthropus. Physical Anthropology , Vol 3 No 2 p2). That’s not to say they aren’t incredibly useful for a whole host of reasons and sometimes more valauble than the real thing in terms of what we can learn about the history of invesitgation but until recently they’ve been overlooked in museum collections in more way than one. Thanks for the collections-side perspective, Mark! 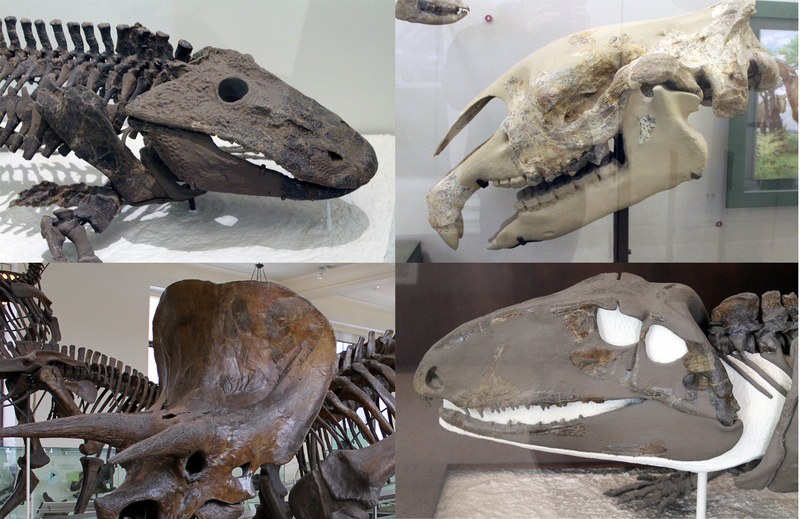 The provenience issues you describe certainly extend to display mounts as well…I understand there are quite a few cases where the amount of real fossil buried in a historically reconstructed specimen is simply unknown. Speaking as a layperson and a member of the public, I wouldn’t want an overwhelming amount of detail as to what part of a skeleton was a real cast and what was speculation. That is unless the majority of the skeleton including the skull were being guessed at without any fossil specimens to justify their reconstruction (as is the case in the Argentinosaurus above). It should be sufficient to provide detailed information online via a QR code or something near the model so that students and academics can quickly access further information as required. The reality is that if you said to me the tibia of animal X was a guess owing to a absence of any fossils of that bone, I wouldn’t know which bone the tibia was in the first place. Also, I realized I have never said what my first name was, so that’s why I changed my profile name XD . That’s two votes for displays that show *less* information about which bones are original versus cast. Fascinating – that’s the opposite of what I would have expected! Would you be willing to elaborate? Bones, cast, “educational guess” should be shown in different colors. Cast and “educational guess” should not be painted to look like real bones. I was at the AMNH yesterday and felt it is very much designed for the very casual dinosaur-appreciator who doesn’t ask questions and simply wants to feel impressed. I was hoping to learn something new about dinosaur anatomy compared to other creatures, and how their appearance is extrapolated from the bones, but the museum doesn’t seem to provide an entry point into their own processes. Fair enough – the text in modern museum exhibits isn’t usually geared for experts. 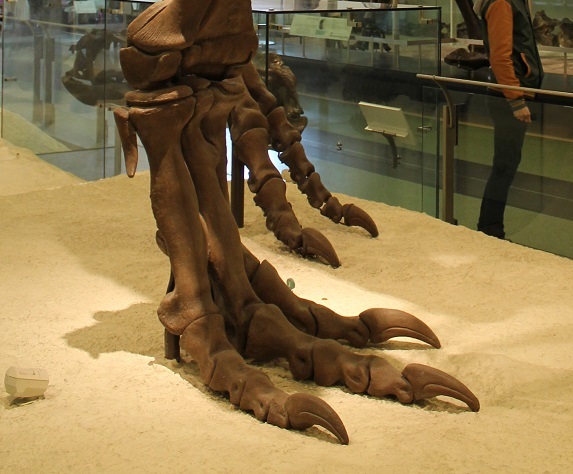 Have you been to many other paleontology exhibits? If anything, I think AMNH is the place to go if you want an exhibit that delves into details and explains how we know what we do, and how we could be wrong. I would also recommend the book “All Yesterdays: Unique and Speculative Views of Dinosaurs and Other Prehistoric Animals” by John Conway, C.M. Kosemen, and Darren Naish.